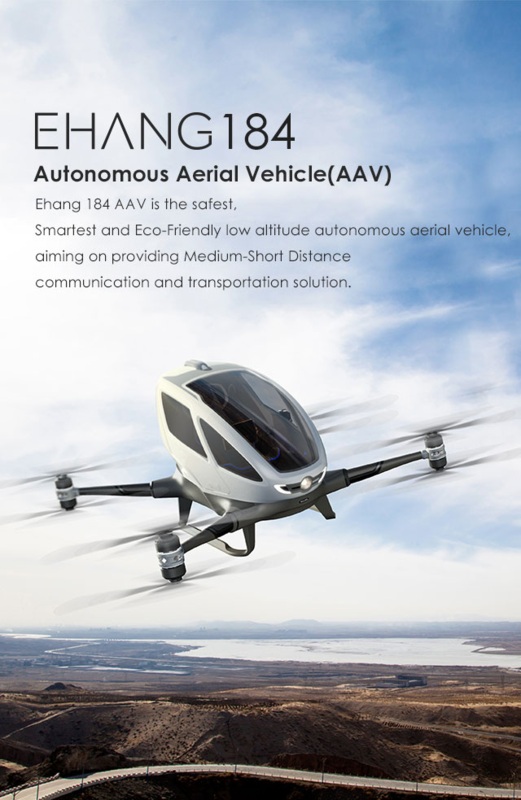 Aerial vehicles technology & service company EHANG makes a dream of flying cars come true. Driven by its continuous technology and product innovation Ehang is grabbing the future rather than waiting for it. It makes possible to whizzing through the skies above our cities. On February 6, China (Guangzhou), EHANG has announced its first footage of the latest test flights of self-flying passenger drone the Ehang 184. Ehang 184 is the world’s first passenger drone capable of carrying a single person at up to 130 km/h and in force 7 typhoon conditions. These manned test flights are just the latest in a series of tests to ensure that the Ehang 184 will be safe and ready for public use in the near future. It has the ability to travel 62 mph at a height of 984 feet. It has eight propellers and its recharge time is a scant two hours. The vehicle is designed to fly passengers on predetermined routes throughout Dubai city, serving as true go-anywhere taxi. The latest footage of test flights is posted on Twitter, Facebook, and Instagram from official company accounts. 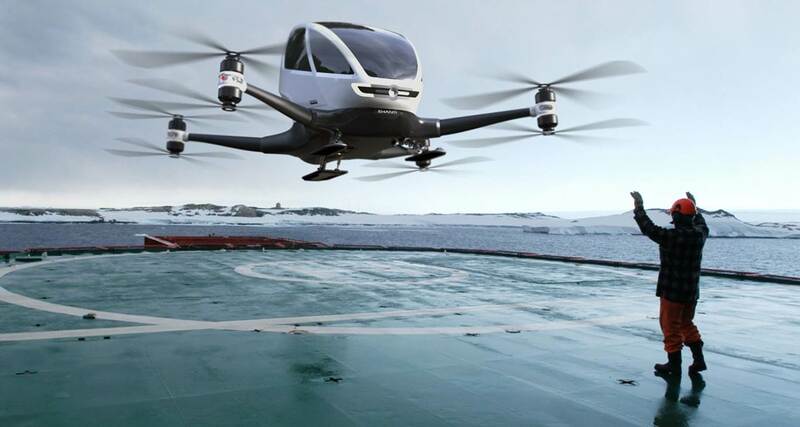 On February 6, EHANG has also revealed its video on Youtube in which passengers climbing aboard its autonomous drones and taking off with the push of a button. This video has gained 676 878 views. Of course, much of it seems like science fiction yet. However, some Youtube users presume that science fiction has become a reality, remembering some iconic films such as “Blade Runner” and “The Fifth Element”. Today long-held dream about flying cars is presented not only in science fiction but also in reality. The Ehang company makes it happen. If everything goes well, we could catch Dubai drone taxi service operating by passengers. Posted in Technology and tagged China, Feedback. Bookmark the permalink.